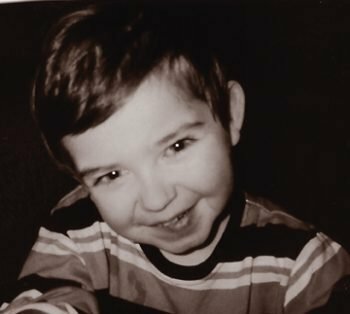 On November 29, 2000 at the age of 10 ½ months, Sean Ian McCauley was diagnosed with a large and malignant Atypical Teratoid-Rhabdoid brain tumor. At the time, the very rare tumor carried only a 2% survival rate and no standardized treatment plan. After extensive searching to find treatment options and ultimately hope, Sean completed a year of experimental treatment, including 10 surgeries, chemotherapy, a stem cell transplant, and radiation. Despite the odds, today Sean is cancer free and a survivor. While he does have significant residual disabilities, his family knows that the experimental therapy saved his life. Sean lives at home with his little brother Connor and his mom and dad. He loves anything musical and is happiest playing piano, which he does every day. Like every family who battles pediatric cancer, Sean’s diagnosis and treatment changed his family forever. Ultimately he taught them the most valuable lesson imaginable – that there is no false hope.